Modern comfort and casual style product! 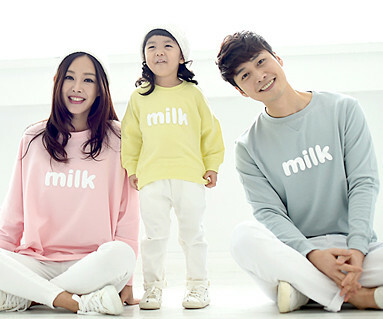 Lovely Mint, Pink, yellow tricolor collaboration of family look! Basic's products into two basic colors in a lovely pastel Ton south. 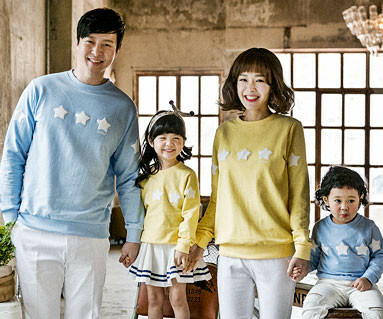 Doeeoteoyo renewed in Winter, brushed fabric fabric for spring and autumn for a relaxing family outing - How about a Star? Neat family gave the scheme a striped look! 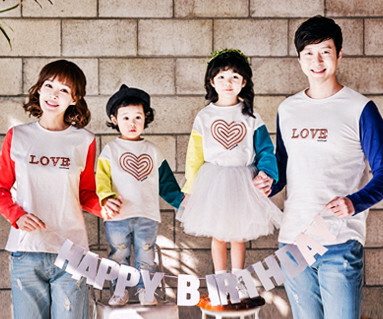 Family tee to direct loveliness. Casual family look with the color scheme incision expressed feeling a bit more special! Use the mom and dad of the LOVE logo embroidered rainbow heart point of the child's family gave room to introduce a convex three-dimensional look.